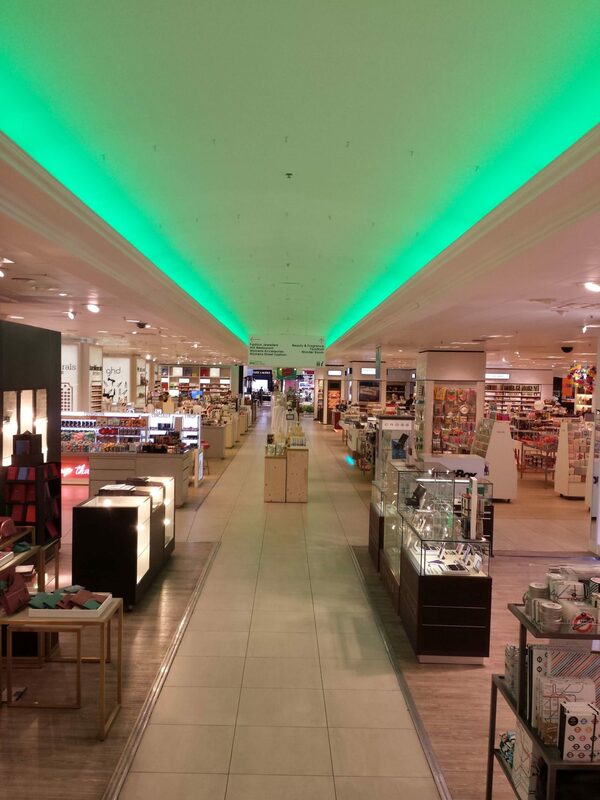 The central ‘tunnel’ section in Selfridges was designed to change colour, reflecting any current events or promotions. 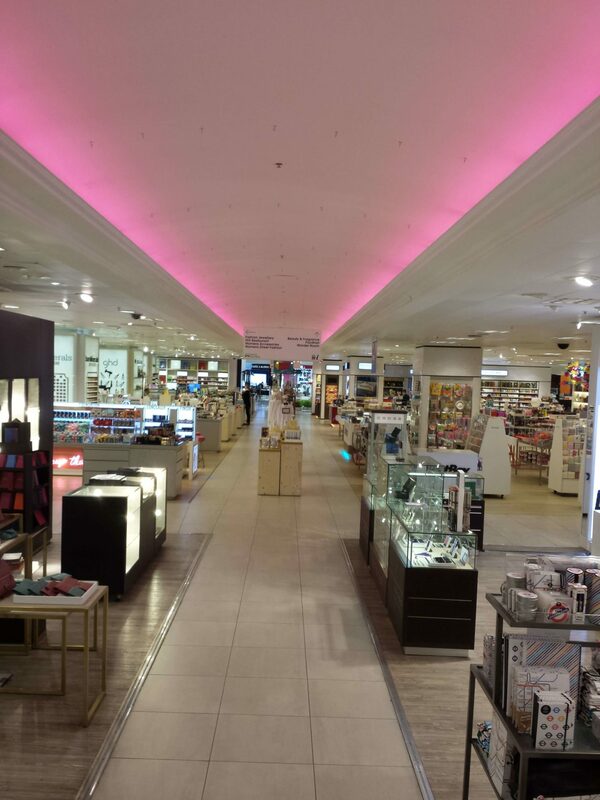 Brief: We were asked to supply LED lighting that would give a broad sweep of even colour across a curved ceiling, and also provide high levels of reflected white light when needed. The controls were simple and allowed the light to be adjusted from a distance. 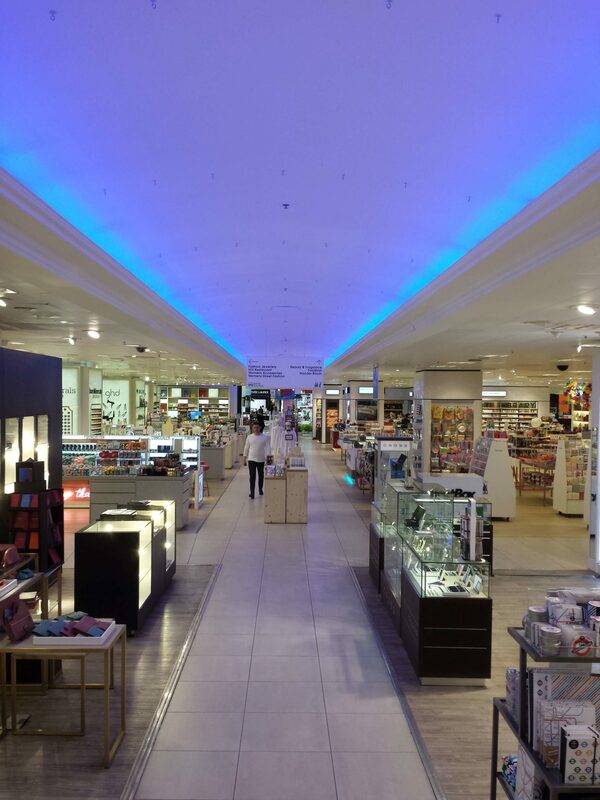 Solution: We used LightLine Grande Arch lighting, fitted with two sets of LEDs – a high power white and colour changing RGB. The profiles were made to order and were combined into sections for easy installation. The controls linked to a central system which worked with an iPad.